Continuous Screen Changer also called CSC, and allows for filtration of most all polymers without interrupting production during a screen change. The features, benefits, and applications are as follows. Technical Data For Our Continuous Screen Changer includes the dimensions of Extruder Output, Screen Diameter, Filter Area, and weight. The Continuous Screen Changer allows for filtration of most all polymers without interrupting production during a screen change. 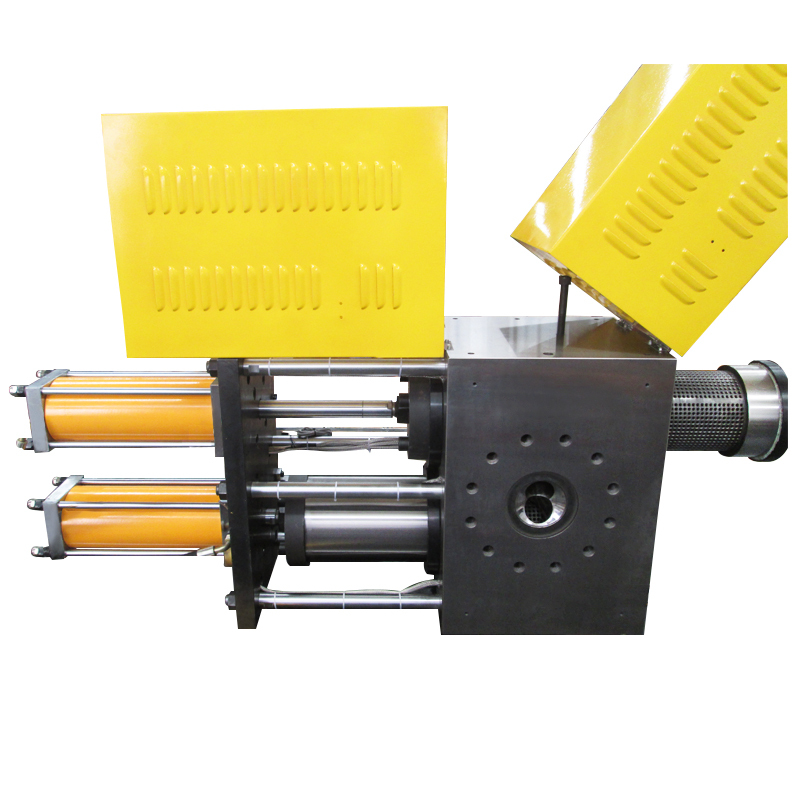 The Continuous Screen Changer consists of two screen bolts with each containing a filter cavity. When a screen change is required, one of the bolts is moved out of the housing while the other remains in the operating position. The dirty screen pack is removed and replaced with a new one. The bolt is then moved back into the housing to its venting stages before resuming operation. These steps are then repeated for the other bolt. This concept allows for continuous filtration with no interruption or loss of production. Batte Continuous Screen Changers can be designed to withstand extremely high pressure applications. Batte guarantees leak-free operation up to 10,000 psi.